Tiffany's Online Finds and Deals: Cheap Chromebook under $100! 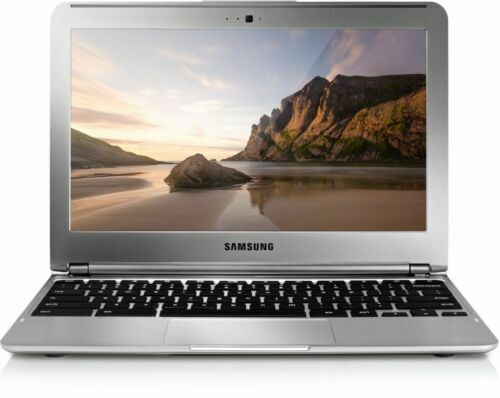 Grab this Samsung Chromebook 11.6" Laptop on eBay.com currently for only $84.95! It is seller refurbished. Product and seller both have great reviews! You can easily share it with multiple people – switching accounts takes seconds, and everyone gets their own files, apps and settings. And it's simple to use. There's no setup and your files are automatically backed up in the cloud. At just 2.5lbs, 0.8in. thick, and with up to seven hours of battery life, the Samsung Chromebook can go anywhere you go. It's built to stay cool, so it doesn't need a fan and runs silently. It also includes 100GB of free Google Drive storage (for two years), a built-in webcam, and dual band Wi-Fi to make it easy to connect to wireless networks.